I found this on Aeron Alfrey's blog, Monser Brains. I really didn't recall this book until I got to the picture of Tiamat. I recalled that page, and the page with the griffin. My boys saw what I was doing and asked that I print them a page. My youngest chose Tiamat and his brother chose the bulette. I told them that I would post their handiwork when they are done. Aeron stated that he would pull them down if the copyright holder asked, so you may want to get them while you can. There is also a link to a pdf book of the images. 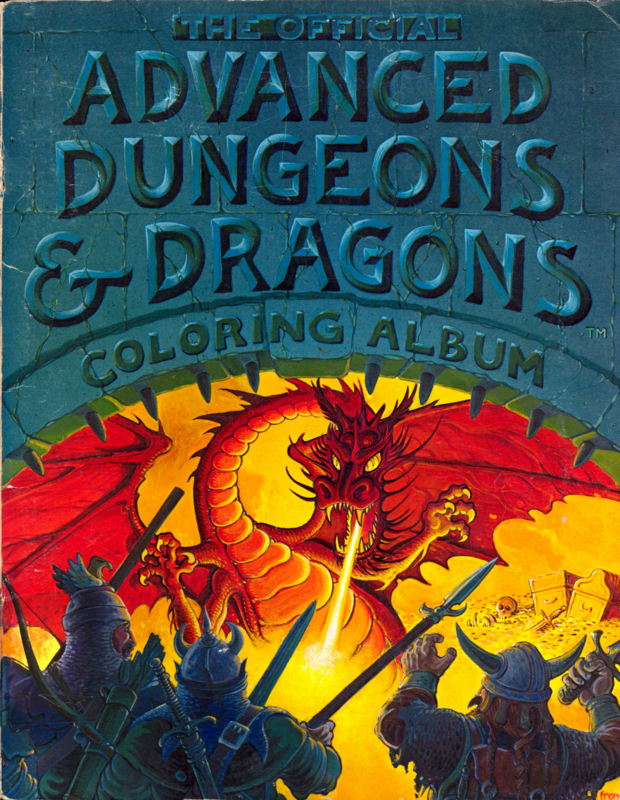 Dungeons & Dragons 5th Edition, Oh Great?